The Worst Gluten Free Menu You’ll See Today | Gluten Free? Gimme Three! This entry was posted in Restuarant Reviews and tagged celiac, dc, Gluten-free, restaurant review. Bookmark the permalink. On the plus side, at least in my case, the manager was very knowledgeable about the menu. So, even though it’s false advertising to make it seem like they can truly feed us, he was able to tell me definitively whether something was gluten-free…and as you know, the answer was mostly no. I’ve heard that Hollywood East Cafe in the Wheaton Shopping Mall is good for gluten-free dim sum. I hope to check it out soon. Thanks for the recommendation! I typically just stay away from all Asian food except for Thai and sushi because it’s difficult to get information about ingredients and preparation. So glad you highlighted this stupidity! 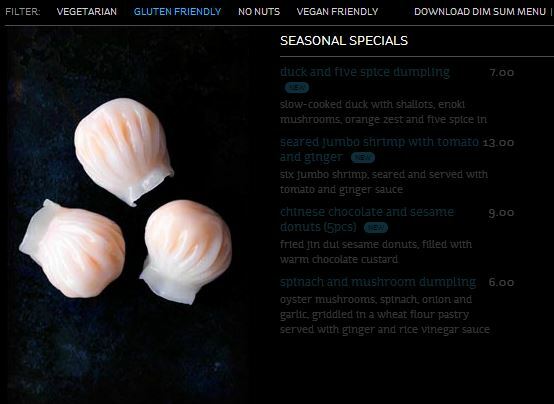 It used to be that Ping Pong Dim Sum’s “gluten-free” online menu only highlighted Steamed Broccoli! It’s still my favorite gluten-free party joke. 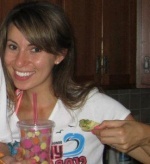 I am a avid Yelper! I will always make tips or reviews on a restaurant when i feel they understand gluten free and offer a gf menu. I have found that they can have the gf menu, but they have not explained to their servers to what it really is. One thing i run into is Chinese restaurants, most of them don’t understand. I am intolerant, and i can get by with just ordering anything without flour. I am not convinced that they use cornstarch when they say they do on everything. To be safe, i also order simple, rice and veggies, no soy sauce. Another confusing thing is, Pei Wei, they have had the same items on their gf menu, forever. Why is it that they will carry gluten free soy sauce but can’t make fried rice with it or even lettuce wraps? I guess, all my complaining, i’m just looking for more options. I have only eaten Chinese food once in about 7 years, and I could only get steamed veggies and rice, so now I’ve just ruled it out. Totally agree with the gf soy sauce! Seems like it would be an easy win to keep a separate wok to make fried rice in. Thanks for your comment – it made me realize that I should try my hand at some homemade Chinese! I CAN’T believe they are still doing this!! I explained this issue to them Summer 2013.